.Then a miracle. A job in Raleigh has the power to turn their fortunes around. It has to. But when Travis arrives in Raleigh, there is no job, only an offer to participate in a onetime criminal act that promises quick money and no repercussions.With nowhere else to turn, Travis must make another choice for his daughter’s sake.Even if it means he might lose her. 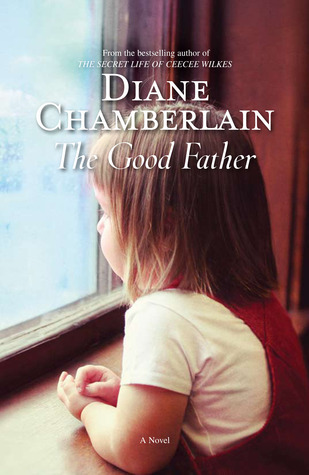 I’ll level with you guys, this is my first Diane Chamberlain read. When I saw this on NetGalley I was instantly requesting. Then, of course, I thought about how I cried the hinges off of my eyelids when watching The Pursuit of Happiness (one of my fav movies ever though…and all of my favs make me cry like insane, guess that says a bit about me? lol), and I thought “Why do I do this to myself each and every time?”. I was sure this would be dramatic, that’s why I wanted to read it. I love tense, I love dramatic. Idyllic never cuts it for me. The story was all that, I had a good instinct. It was less dramatic then I would have expected though, I mean the overall effect. Each of the stories of the characters that narrate are heart wrenching, and my heart went out to each and every one. Bella was, I think, my favorite, just because I’m biased like that when it comes to kids I guess 😀 Considering what she goes through and all of her 4 years, she has the most dramatic story if you ask me. The characters were interesting, and though I disagreed with some of their reasoning and choices and didn’t much like some for one reason or another, they were well built, pretty solid and felt very real. Out of the grownups my favorite would be Travis, just because, well…The Pursuit of Happiness – ish reasons. There’s something about the notion of these dads fighting like crazy to have something to offer to their kids when they could bail out on them, it just gets to me. I mean, I don’t have something against putting your kid up for adoption if the situation really calls for it, but then again I’m fairly positive I could never do it, no matter what the circumstances. Of course that’s just an idea, when faced with the real situation ideas tend to fly out the window. But anyway, Travis could have bailed on Bella, but he didn’t. He fought tooth and nail and in the end, I am happy to say, he did make the right decisions. This might spoil it a bit for you guys, but the book does have a happy ending for Travis and Bella. I’m not giving you details and really spoiling your read, but just in case you’re wondering…because honestly, I was on shaky ground reading this myself, not knowing how the ending would turn out. I was completely hoping for a similar ending to the above mentioned movie, just because I think I would have had a breakdown if it would have ended badly. The writing was really beautiful, I might even go overboard here and say it was flawless. Emotionally gripping, beautiful and accessible, awesome flow – it had it all. Unfortunately I’m a clear non-fan of the multiple point of view narrative, I have mentioned this a lot. This and the counter-clockwise direction of time, these two are sort of like my pet peeves in novels and I had a bit of both here. The writing was so good though that I rolled with it, but it did affect my emotional connection to the story. Were this a traditional direction of time, one point of view novel, it would have been a total 5/5 for me probably. Do you like stories about dads? Or do you prefer moms to be the single struggling parent in your read? Which of the two is more likely to get your tears running?